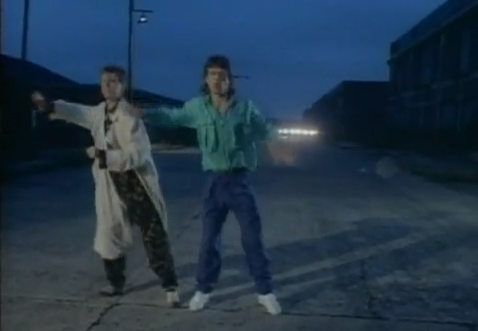 Welcome back to our series Rembert Explains the ’80s. Every so often, we’ll e-mail 25-year-old Rembert Browne a video from the 1980s that he hasn’t seen. Rembert will write down his thoughts as he’s watching the video, then we’ll post those thoughts here. 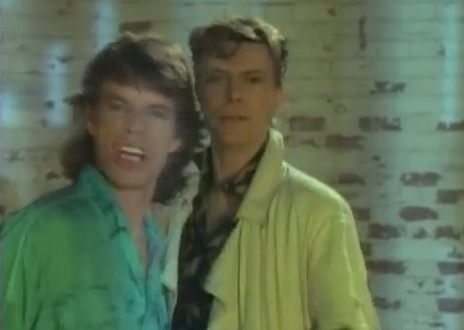 This week’s installment was selected by Grantland editor-in-chief Bill Simmons: David Bowie and Mick Jagger’s “Dancing in the Street.” If you have an idea for a future episode of Rembert Explains the ’80s, e-mail us at hollywood@grantland.com. 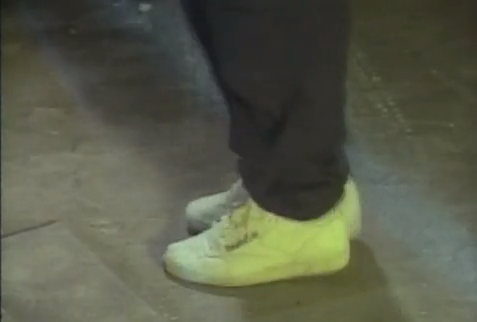 0:07 Oh hello there, whiteish-yellow Reebok Classics. I think they are, at least. His feet are moving so fast. 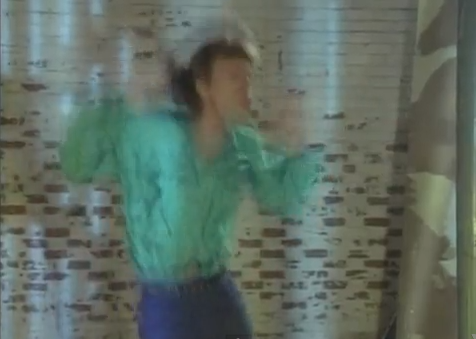 Flatley speed. 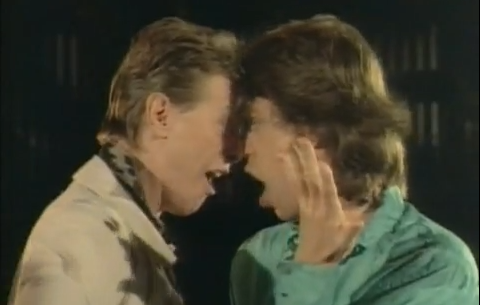 0:12 Bowie and Jagger are yelling places in the world, off-screen, that they’ve heard of. So far, “Tokyo” and “South America” and “Australia” have made the cut. Congrats to those places. 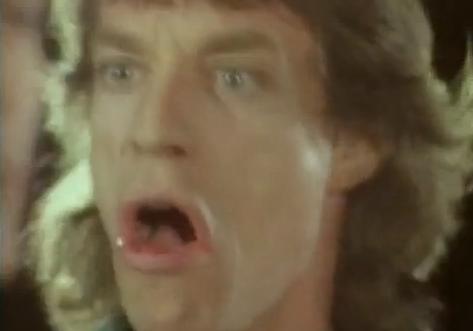 Mick can’t stay still. He’s your guy if you want to prevent screenshots. I’m mad, but also impressed. 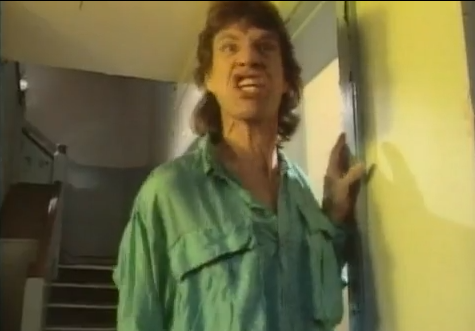 0:34 Mick’s get-up is a vision. Between the shoes, the oversize green ruffled blouse (increasingly untucked-in), and those blue size 0 tapered pants, he’s the definition of peerless. 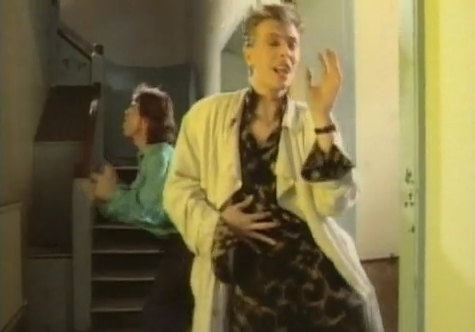 Enter: David Bowie wearing a blurry yellow trench coat and what I believe to be a dark cheetah jumpsuit. But of course. God, I hope they have a walk-off. Mid-air Bowie, he’s definitely in the lead. 0:49 Ugh, I can’t pit them against each other. They’re too great together. It’s like pitting peanut butter against jelly. Or Kobe against social media. 0:50 Oh man, where are they going? They’re on the move, Jagger forward and Bowie backward. I BET THAT CHANGES AT SOME POINT, THOUGH. 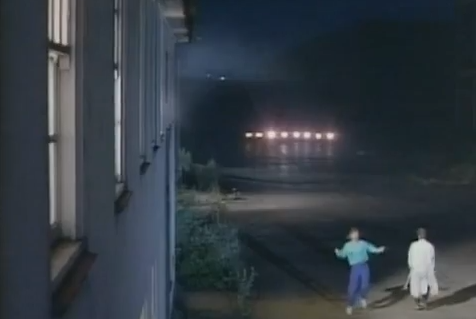 Also, what are those lights? Four Jeep Grand Cherokees? I hope so. 0:57 I can’t take an image of them in motion. They’re doing too much. And it’s all freestyle. It’s like they came straight from Soul Train to this giant road that they’ve stumbled upon. I WANT YOU TO SHOW MEEEEEE. 1:18 All these two want to do is be two guys that at some point in the future grab two girls, everywhere, around the world. AND THEN THERE WILL BE DANCING. 1:23 I tried to capture dancing again. Again, I failed. They’re too active. We don’t have the technology to document this, clearly, in image form. 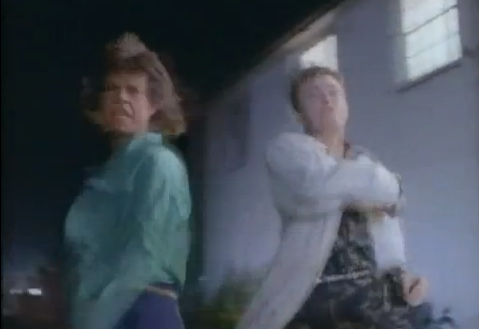 What we can do, however, is take a blurry screenshot that makes Mick Jagger and David Bowie look like William H. Macy and Edward Norton. 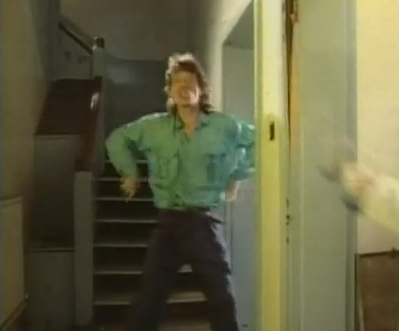 1:26 You could fit three Micks in Mick’s shirt. It’s that spacious. What is all that extra fabric on the left? Also, do those pockets have to be so three-dimensional/need their own ZIP code? 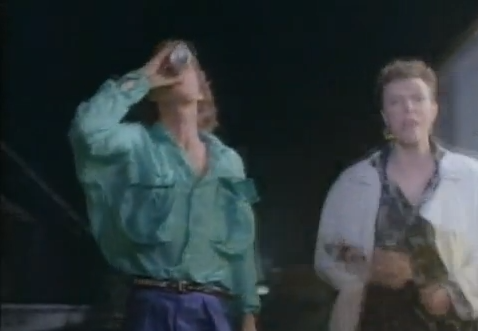 Also, is that Crystal Pepsi? 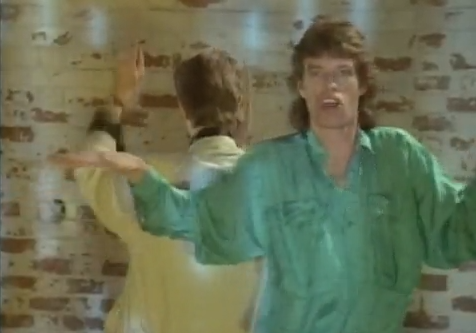 1:47 I think it’s great that Bowie and Jagger are listing cities that they might not be able to point out on a map. 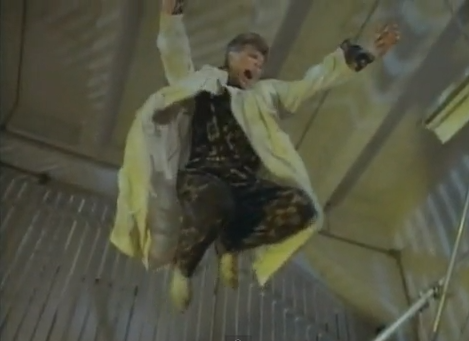 That musical breakdown, a twist from the Martha and the Vandellas version, is great, though. No denying that. 1:50 LOOK. AT. MICK’S. WAIST. It looks like he wrapped his belt around twice, the way little boys have to when they borrow their father’s clothes. Bowie’s unreal. He’s the king. There’s no denying it. You are also the king. Two Kingz. Bowie and Mick. 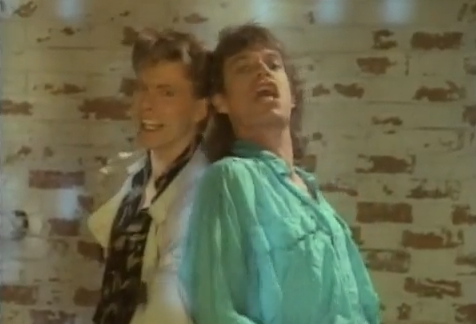 Or Mick and Bowie, if you’d like. I don’t know why, but I know I’m right. 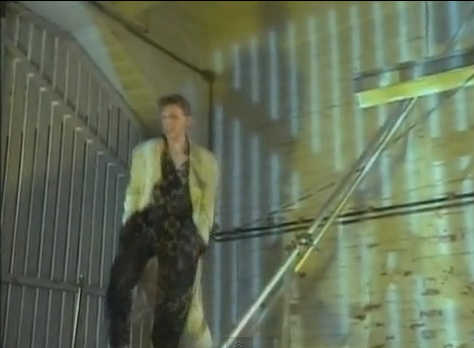 2:16 Bowie had his back to the camera for 12 straight seconds. That has to be some kind of record. 2:18 THE KING Bowie is back. Missed you, man. 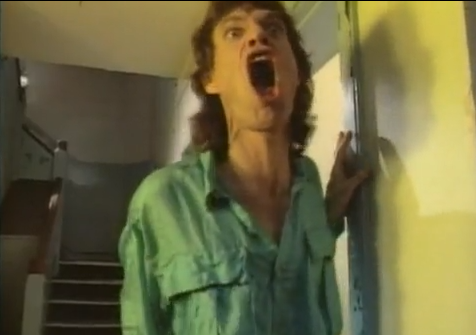 So did Mick. 2:30 They can’t stop dancing. It’s amazing. The only thing: I wish they were more clearly in “the street.” Maybe that’s asking for too much. This is art. High art. High booty art.